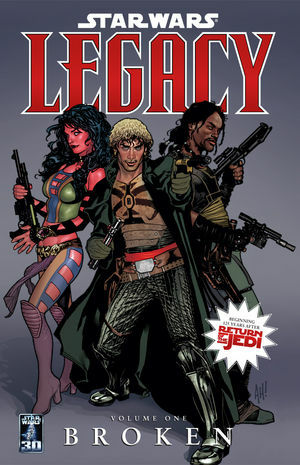 My random comic pick on The Comic Conspiracy: Episode 8 is Star Wars: Legacy written by John Ostrander and Jan Duursema, and illustrated by Duursema and others. We had discussed licensed material a few episodes ago and I had just started to read the Star Wars: Dark Empire and Dark Empire II so I decided to give another Star Wars series a try. I was at a Borders that was closing and found the first two trades for Star Wars: Legacy. I picked them up and have enjoyed this series so far. 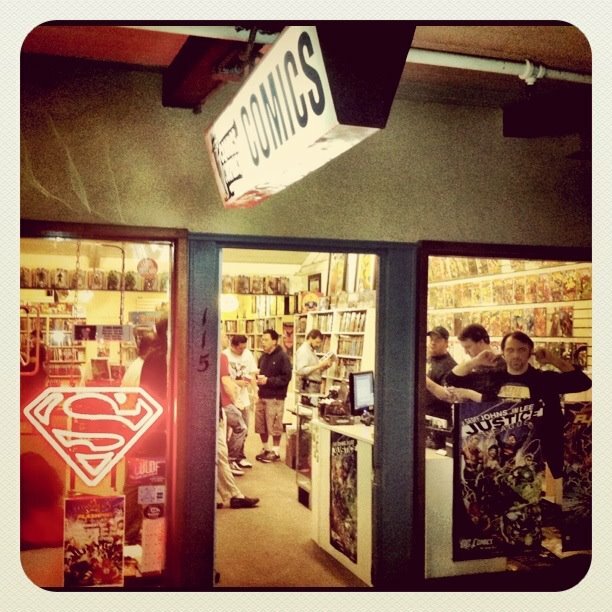 I'm on the fifth trade currently, but from the first four I decided to make it my "Random Comic Pick" for Episode 8. The series is set 125 years after the death of Vader and the galaxy is still in turmoil. Check it out if you like Star Wars and even if you don't. It is a great read.